Sri Nampillai, in the Acharya paramparai is known for his scholastic excellence. He was the disciple of Sri Nanjeeyar. 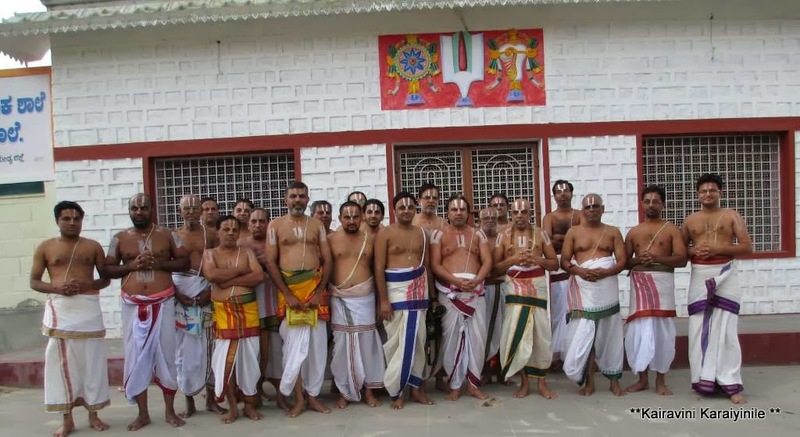 On Sept. 21, 2013, [thanks to Dr MA Venkata Krishnan Swami] a large group of us had the divine opportunity of being at ThiruNarayanapuram [Melukote] ~ a place of scholastic excellence for Sri Vaishnavism ~ the land where our Great Acharyar Sri Ramanujar lived ~ the abode of Sri Cheluva Narayana Swami [we call Him SelvaNaranan]. 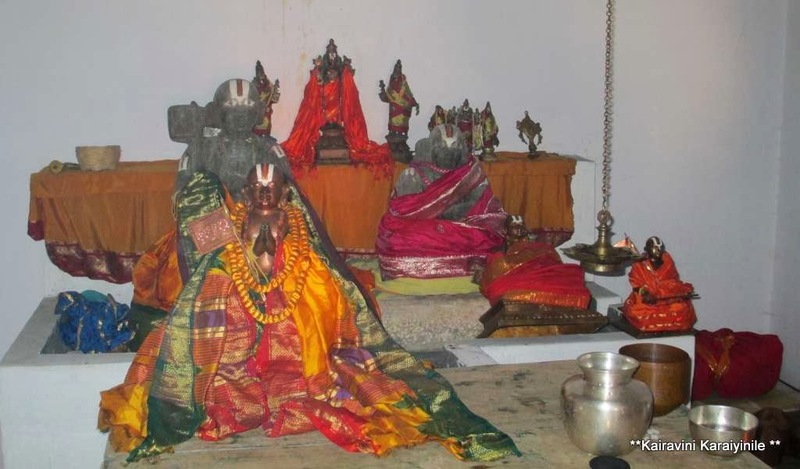 The Temple is ‘Sri SelvaNarayana Perumal Kovil’ at Melkote referred to by us as ThiruNarayanapuram, Abhimana sthalam of Udayavar, who lived here for 12 years, codified and ordained strict procedures for betterment of Sri Vaishnavism. The birthplace of Thirumalai Ananthalwan is the small village known as Siruputhur ‘Kiranganoor’ [Hale Kiranguru] in Srirangapatna taluk. Thirunarayanapuram besides the Temple, and living place of Ramanujacharya, is the birth place of Swami Namjeeyar. 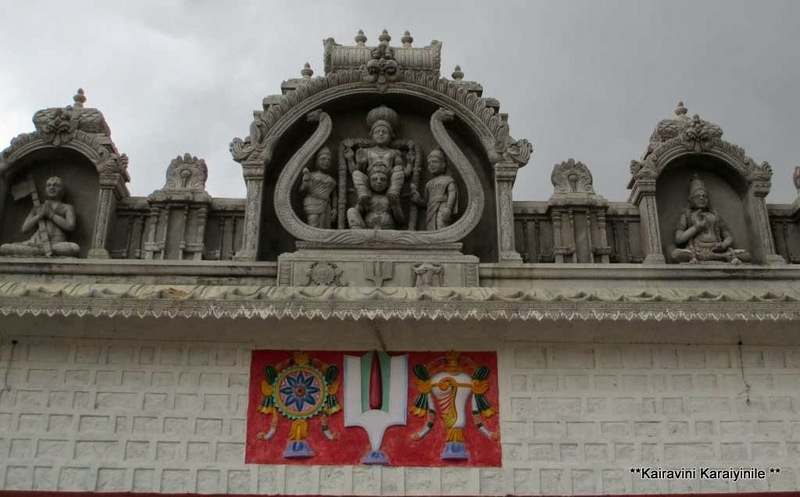 Besides the pristine temple, there is the Kalyani Pushkarini, the temple of Yoga Narasimha on the hillock, Sri Manavala Mamunigal sannithi and the birth place of Sri Vaishnava Acharyar – Sri Nanjeeyar. 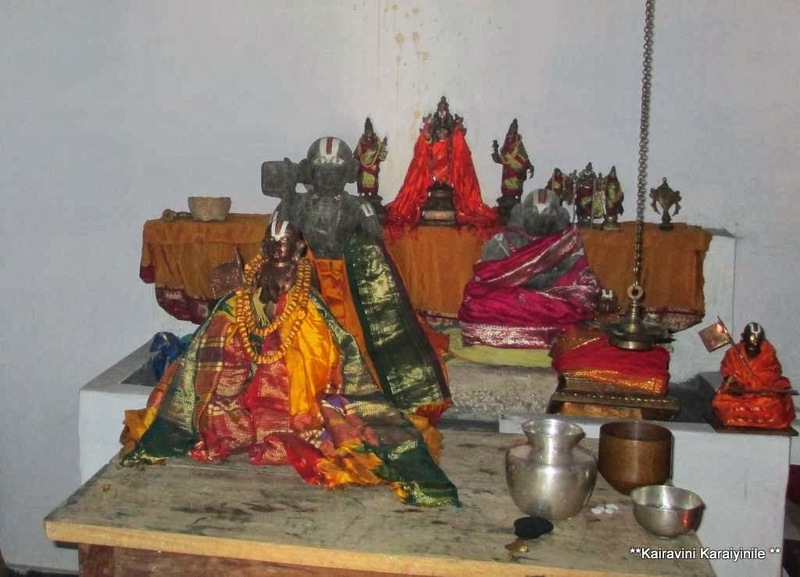 The sannathi at the birthplace stands renovated and has the idol of Nampillai also here. 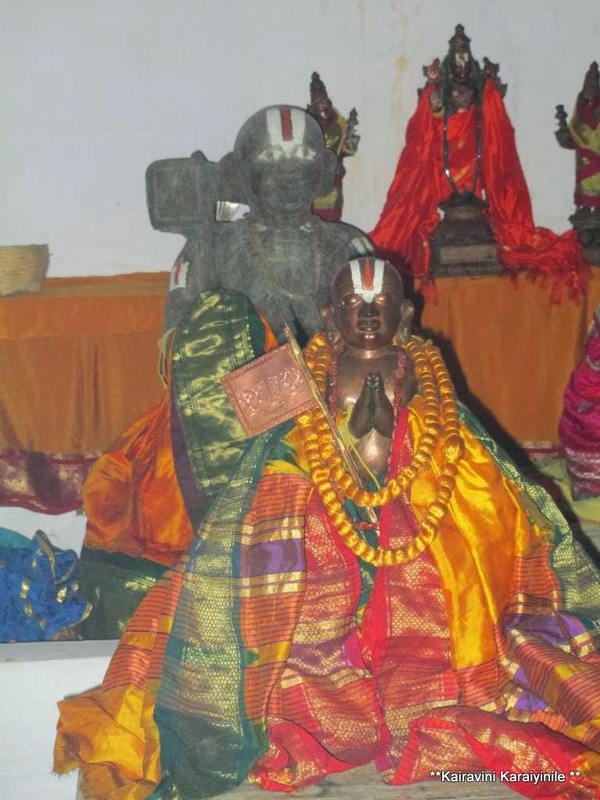 Sri Nanjeeyar the one with unparalleled knowledge, one who was hailed by the well-read, by the grace of his Acharyan Sri Parasara Battar – gave us the commentary fondly called ‘Onbathinarayippadi’ for the Thiruvaimozhi of Swami Nammalwar. Here is something on the Acharyar Nanjeeyar. 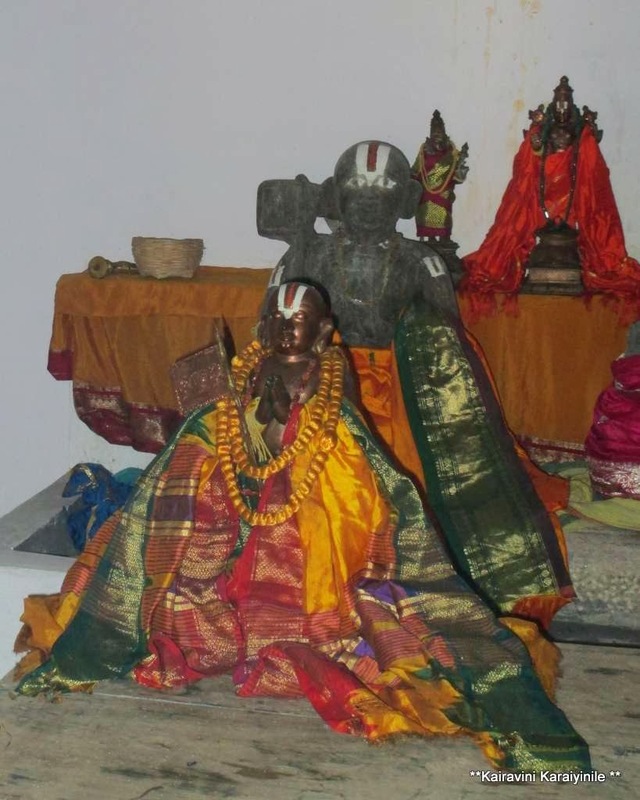 Originally, he was known as Madavaacharyar also called Vedanti – who lived in Thirunarayanapuram. As his name indicates (Vedanti), had a very good knowledge in Vedantams. Our Great Acharyar Sri Ramanujar brought him to the fold of Srivaishnavism through Sri Parasa battar. Vedanthi was known for feeding people ~ Swami Battar went to his place, debated with him and after a lengthy debate, Vedanti understood the greatness of philosophy of Sri Vaishnavism ~ on his way to Thiruvarangam, he Swami Anandaazhwan and got his blessings. At Thiruvarangam, the prostrating Vedanti was fondly embraced by our Acharyar Swami Battar called him Namjeeyar (meaning our Jeeyar) The discussions between Battar and Nanjeeyar were of the highest order – imparting knowledge. Sri Nanjeeyar’s work – ‘Onbathinaayirappadi’ is hailed as a rich commentary. 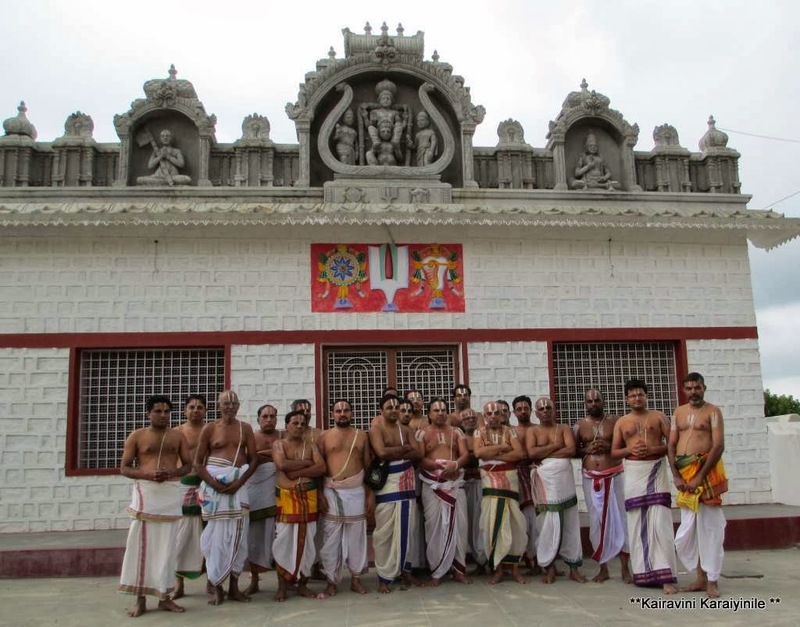 Here are some photos taken at the renovated Avathara Sthalam at Melukote Thirunarayanapuram. but ,according to vishistaadvaita...we are brahman,at the same time ,we are not paripurna...similar case applies to krishna...so,how is krishna paripurna in vishistaadvaita?